As a writer, I sometimes (meaning, every minute of the day) need to be motivated. I need inspiration. Don’t we all? Well, this time, my own words will play a part in that motivation, thanks to Chicken Soup for the Soul. 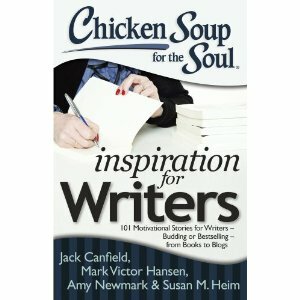 My personal story of motivation (in terms of writing, that is) is included in the new Chicken Soup for the Soul: Inspiration for Writers along with stories from numerous other published (budding and bestselling) writers.